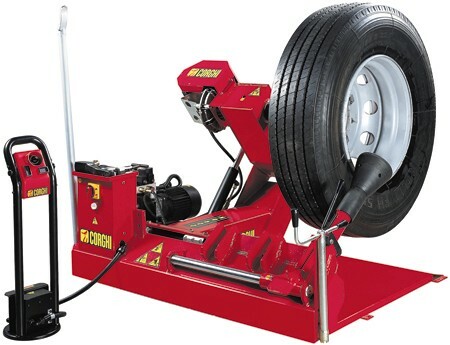 The HD600 tyre changer is Corghi’s response to the needs of large road transport groups and mobile service centres. compact and lightweight and therefore ideal for jobs on customers’ premises. low-voltage portable unit. It works with the wheel kept in vertical position, and wheels are clamped by means of the special spindle with hand-operated mechanical clamping system.